​Add dramatic definition to your eyes to create fuller lashes when used as a basecoat under mascara. Or wear the clear formula alone for a natural look. Get more from your mascara in the blink of an eye. More length. More volume. All in a clear, quick-drying lash primer formula that adds dramatic definition to your eyes to create fuller lashes when used as a base coat under mascara. And thanks to the Mary Kay® Panthenol-Pro Complex™, it also strengthens and helps condition lashes. 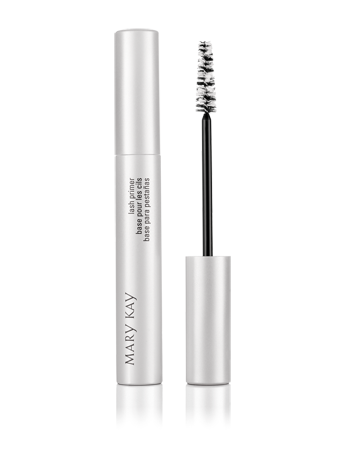 Mary Kay® Lash Primer also lifts and helps lashes stay curled longer, giving you the most from your lash curler too. The difference is in the dual-action brush, which is specifically designed for a primer formula to deliver maximum benefits. You also can wear the primer alone for a natural look while still enhancing lashes. Aloe Leaf Juice (Aloe barbadensis) is a soothing agent known for its calming properties. Allantoin is a conditioner that improves the appearance of skin. To apply, place brush at the base of the lashes and sweep up from root to tip, coating all lashes. Before allowing the primer to dry, immediately apply your favorite Mary Kay® mascara to the lashes or wear alone as a clear mascara. Lashes that look long and lush are great, but our Mary Kay scientists wanted more. So they formulated Mary Kay® Lash Primer with our exclusive complex containing pro vitamin B5 (panthenol) and phytantriol. These ingredients are commonly used in shampoos and conditioners that together attract moisture from the air and bind it to hair. When used in a primer, this complex adds moisture to eyelashes and helps make the primer easier to apply. Lashes feel healthy and nourished while the lightweight formula helps prevent lash breakage. 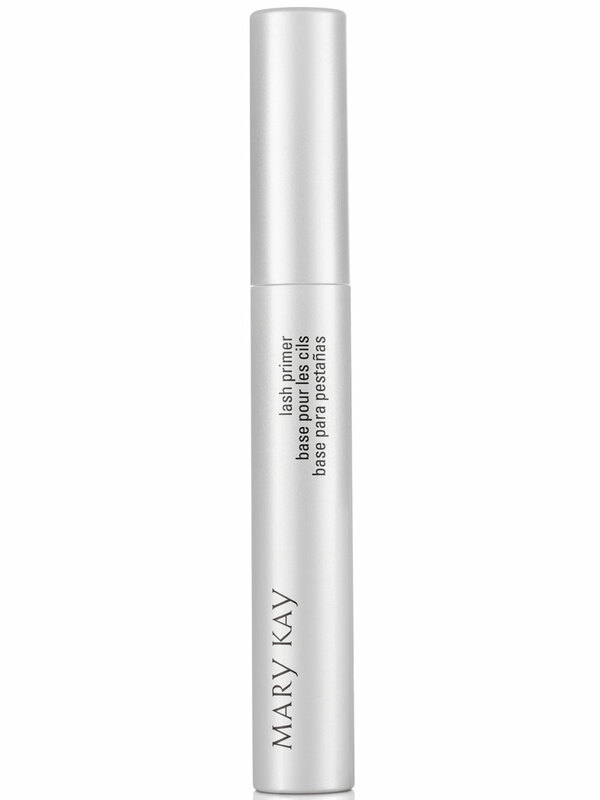 Mary Kay® Lash Primer provides flawless, fool-proof application thanks to its clear formula. With no color to cover up, you’ll never have to worry about your primer showing through your mascara. 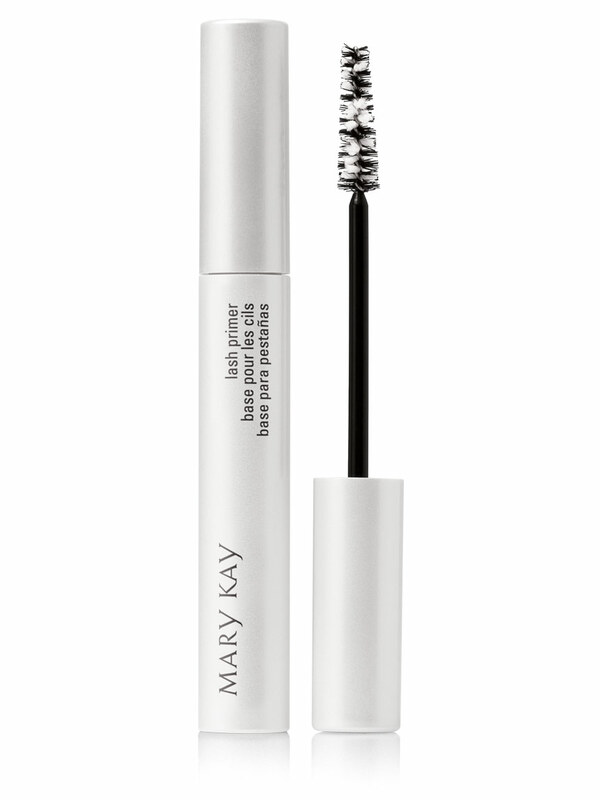 Plus, Mary Kay® Lash Primer can be dual-purposed as a colorless mascara, wearing it alone to enhance the appearance of lashes while still looking natural. In fact, eight out of 10 women agree it works like an invisible mascara! Just as important as the formula itself is how it gets delivered. The special dual-action brush was specifically designed for a primer formula to maximize the benefits and deliver a natural look. The brush features a unique combination of cotton fibers that work as reservoirs to deliver the formula from root to tip, coating each lash, and traditional nylon fibers that comb and separate lashes for clump-free application. Women Love Mary Kay® Lash Primer! 93% said mascara glides on smoothly and easily. 87% said lashes held their curl longer when used with an eyelash curler. 85% said it improves mascara wear. 84% said lashes are more visible. 82% said lashes feel healthy and conditioned as it fortifies ever lash.